Benchmark equity indices extended gains for the ninth straight day led by Reliance Ind, ICICI Bank, HDFC Bank and Power Grid. Benchmark equity indices were trading higher on Tuesday. Moreover, India Meteorological Department’s forecast that rainfall is likely to be normal during the June-September southwest monsoon season in the country also boosted sentiment. At 10:07 AM, the BSE Sensex was trading at 34,379, up 74 points, while the Nifty50 index was trading at 10,544, up 16 points. The BSE Midcap and the BSE Smallcap indices were up by 0.44% and 0.55%, respectively. Idea stock soared 3% after 4.23cr shares or 1% equity changed hands in two block deals. Cipla stock slipped 1% after the company informed exchanges that the USFDA conducted a routine current Good Manufacturing Practices (cGMP) audit at its Indore formulations facility during April 2-13. Bajaj Electricals soared 5.5% on winning contracts worth Rs3,578cr for rural and urban electrification projects in Uttar Pradesh. Sobha stock advanced 1% after foraying into Gujarat with a Rs500cr plus investment. Fortis Healthcare was trading flat ahead of a board meeting on Thursday to decide on investment offers. Shares of Mahindra & Mahindra gained 2% after India Meteorological Department said that it expects India to have a normal monsoon. It also ruled out deficit monsoon. Shares of Adani Ports rose 2% after the company said it singed long term regasification pact with Indian Oil for Dhamra LNG Terminal. Volatility index India VIX was down 0.91% at 14.1300. Hindalco (+2.9%), Power Grid (+2.6%), Tata Steel (+1.8%), M&M (+1.4%) and Vedanta (+1.3%) were the top gainers on the NSE. 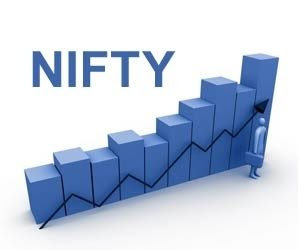 Cipla (-1.4%), Infosys (-1.3%), Wipro (-1.2%), Infratel (-1.1%) and Sun Pharma (-0.78%) were the top losers on the NSE. Out of 2,032 stocks traded on the NSE, 1,059 advanced, 514 declined and 459 remained unchanged today.